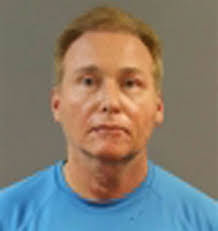 The U.S. Department of Justice has brought charges of assaulting a member of Congress (Sen Rand Paul), against Rene Boucher. The charge is a felony. Boucher has signed a plea agreement. But no date set for plea/sentencing has been set. The charges were announced today by Josh J. Minkler, U.S. Attorney for the Southern District of Indiana. Rand suffered multiple fractured ribs and subsequently contracted and required medical attention for pneumonia as a result of the attack. According to Assistant United States Attorney Bradley P. Shepard of the United States Attorney’s Office for the Southern District of Indiana who is prosecuting this case as a Special Attorney to the United States Attorney General, Boucher faces up to 10 years’ imprisonment and a fine of up to $250,000. The case was investigated by the Louisville office of the Federal Bureau of Investigation. The United States Attorney’s Office for the Southern District of Indiana was assigned the case following the recusal of the United States Attorney’s Office for the Western District of Kentucky where the offense is alleged to have been committed. HOT HOT BREAKING Rand Paul Physically Attacked!!! As admirable as some of Rand Paul's pro liberty actions are, it's amusing that assaulting a member of Congress is regarded as a more heinous crime than assaulting a mere private citizen. Just another example of how the state creates these childish fictions that its members are demi-gods, deserving of different treatment from the rest of us. I don't think that is the case. I think our politicians require the security offered them by these laws. There will always be an opposition side with people who will become angry to the point of pulling something like this, and there needs to be deterrents. Misuse of these laws should also be prosecuted. Finally. But does this mean that beating the crap out of someone for no reason who is not a member of Congress is ok?